Our licensed teachers come from a wide range of backgrounds. Here’s an interview with Alison who delivers classes in North Liverpool. Why did you choose a Musical Bumps business? My fourth child was starting school and I wanted the flexibility of self-employment but wasn’t sure what to do. My light-bulb moment happened at ‘Peace Proms’ at the Echo Arena where my daughter and her school choir sang with 3000 other children and a professional orchestra. It reminded me how the power of music and singing brings children of all abilities together and I wanted to bring something of that to my own community. I researched a few ideas, spoke to some music educators I knew and decided on teaching children’s music classes. I had a tick list of all the things I wanted to offer and shortlisted three companies who best met that brief. After several phone calls and visits to various classes, Musical Bumps came out as the perfect fit. Music (piano, guitar, and flute) and singing has been part of my life from childhood. I’ve performed in various bands, concerts and productions at school, university and at the churches I’ve attended. I’ve worked with children in Sunday schools, holiday clubs and as a volunteer at my children’s school. I have a performing arts management degree and have worked in arts administration, website development, journalism and PR. After having children I ran an audio visual company with a friend and I also ran an Avon business. When our third child, who has additional needs, was born, I took time out to look after the children full time. So all of this has led nicely to running Musical Bumps classes. How have you found the training and support from head office? The head office team are fabulous and so supportive. You can call, email or message them any time. Nothing is ever too much trouble. The online training is really comprehensive and covers all aspects of starting and running a Musical Bumps enterprise – not just the business aspects but all of the educational elements too. Support is ongoing so any time you need anything, you can just get in touch. How did you feel about starting your own Musical Bumps business? Music and singing have always been a huge part of my life but never professionally. I therefore felt really excited, but also a bit nervous, stepping out into something that I felt was really ‘about time’ for me to do. I was looking forward to working in my local community and imparting valuable musical knowledge and skills to all of the children and families who would be attending. It was a bit scary leading classes at first – there was so much to remember in each class – but I soon got into the swing of it and now it feels like a natural part of what I do. Which skills do you have which you feel will help you get your Musical Bumps business up and running? I have a lot of music and singing skills and knowledge. I’ve worked with children lots of times before and felt I had a good handle on marketing, PR and administration thanks to my previous work experience. And which skills do you feel you will need to acquire? More experience in teaching and knowledge about the education side. During the research period, one of the things I wanted was to find a company with a really good mentor in these areas. Sarah Marsh, the Director of Musical Bumps is so easy to talk to and is an absolute goldmine of knowledge and experience, so she really ticked that box for me from our initial phone conversation. Tell us more about the work you are doing with children with additional needs. Our youngest daughter has Global Developmental Delay and learning difficulties. Music and singing have been a huge key in opening up her speech and language. Her journey inspired my Musical Bumps vision and one of my aims for classes is to ensure children of all abilities are able to access them, whether that’s in a class, small group or one to one. One of my venues is fully accessible and inclusive for people with disabilities, some children with additional needs have been attending my classes and I’m continuing to build on opportunities to develop this side of my work over time. Don’t do too much too soon, or feel you have to do what everyone else is doing. It’s easy to look at all of the established Musical Bumps teachers and even your competitors and feel like you have to set up as many classes as them from the outset. I’ve learned that it’s better to start small and grow confidently then expand classes as they start to grow naturally. Sometimes I have too many ideas for what I want to do but have to constantly remind myself there’s only one me and I can’t do everything at once! Why do you think music is so important in the early years? So many reasons I couldn’t list them all in a short paragraph. 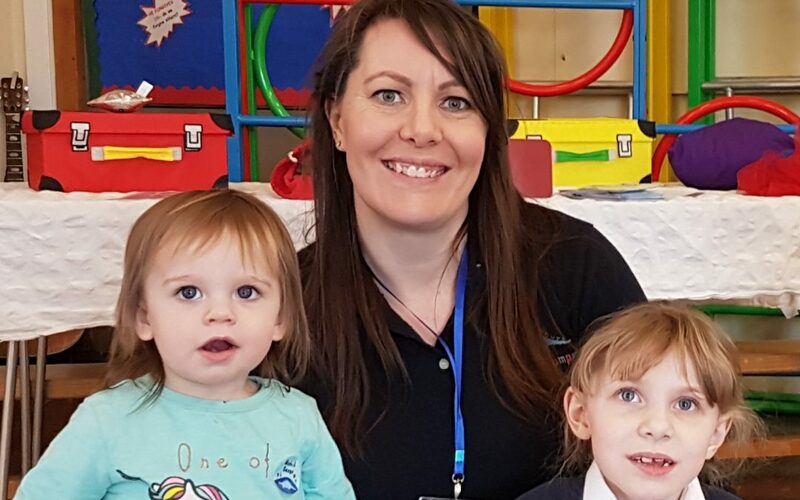 But they include development of speech and language, building self-confidence, exploring words, sounds, songs and rhymes, turn taking, social skills and getting to grips with the building blocks of music and singing that children can keep adding to as they grow and can learn to play instruments. Also, music and singing are so much fun – the children don’t realise that they are learning, they just know they are having a great time – and so do the grown-ups! Have you seen any real examples of how music has made a real impact? A parent told me that singing “It’s a Lovely Day” was the only way to calm her baby for getting dressed in the morning. The listening bag activity for babies has also been just magical – the room goes so quiet as they are captivated by the instruments. I’ve also seen so much progress in toddlers as their confidence grows over just a few weeks, after a short time they are sitting on my knee helping me lead the class. And recently, during chill out time for older children – the ones who are usually so energetic were lying down, calm and transfixed as I played the flute. I have a never-ending ‘to-do’ list of jobs to keep family and home life running. Spending time doing things as a family is always good, as is social time with friends. We are also very involved in the church we attend – my husband and I are in the music team. We also run a monthly cafe/support group for children with additional needs and their families with an amazing group of volunteers. Finally, what do you sing in the shower? All manner of songs – vocal warm up exercises, whatever was just on the radio, songs my children are learning or children’s TV themes that get stuck in my head!